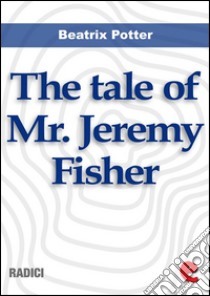 Jeremy Fisher is a frog that lives in a small house in the middle of the buttercups of the pond . Worn mackintosh and galoshes goes fishing with his rod made of a stalk of grass and a horsehair. A trout rises from the water and seizes him with a snap, but doesn't like the taste of his raincoat thus spits him immediately. From that day Jerermy no longer went fishing. Book illustrated with beautiful Potter's watercolors.